With “Dance Hall Days” breaking into the US Billboard Top 20 at #16, I expected better things from the follow up single, “Don’t Let Go.” I liked it more than the first hit. This was a taut stormer of a tune, with a galloping rhythm track courtesy of Darren Costin, who added surgically precise drum fills to the drum machine that moved this one along at a rapid clip. Speaking of clip, the tight, sixteenth notes of sax interjection from Mel Collins gave this one real punch, right where it did the most good. It’s hard not to think that this one would have easily waltzed right in to the Top 10 in America, but it stalled at the outset of the charts at 38. Shocking! There’s no accounting for taste, I suppose. We next got a fascinating deep cut that seemed for all the world like a holdover from the Huang Chung days. I say that because “Even If You Dream” was co-written between Hues and David Burnand, a.k.a. “Hogg Robinson.” Burnand had departed from the band following their time with Arista, but not before co-writing this one. Nick Feldman’s bass was again channeling the current FGTH sound, so I suspect he was using the exact same gear and setup. Naturally, the results were a bit funky in that 1984 way of doing it. The one thing that really leapt out at my ears here, was a surprise stab at Oriental sounds that manifested in the brief middle eight that sounded like a one bar excerpt from a Chinese opera before the pulsating rhythms came back into the foreground. Intriguingly enough, the middle eight was simply the bass line, slowed to half speed and played for a quarter measure. It worked like a charm. The final single here was the clattering electrofunk of “Don’t Be My Enemy.” The album version seemed a little unsure of itself, so the decision to remix the album track for a single release made a lot of sense. What stood out royally on this track was the expansive solo they let sax player Mel Collins have on the middle eight. I’d swear he got 20 bars here to really sink his teeth into by far the longest solo of any instrument on the album. The album ran a respectable 43:11, so it’s not like the 1:15 of sax soloing gave the album the illusion of more meat on its bones. As it was heading toward the finish line, obviously, a slow tempo ballad was called for next. “Devoted Friends” was just that; a slightly embittered look at a love affair gone up in smoke. The rhythm here was a techno heartbeat pulse ripped straight from Ultravox’s “Just For A Moment” albeit re-set into a more jazzlike setting driven by melodramatic piano chords. The closing “Talk It Out” seemed to be cut from a similar rhythmic cloth, even if the tempo was slightly faster there. Any other album would have faded out the song at the 3:30 point but instead, the band built up a head of steam with over a minute of repetition. Just when things began to get intense, the album ended with an all time best cold ending; abrupt and jarring. Back when the Huang Chung album was released, it got compared in the scant press I saw on it as being in the Ultravox vein. Frankly, I don’t hear that on that particular album. It was just somewhat high-tech rock music and the press may have been grasping at straws. This one came a little closer to that standard. 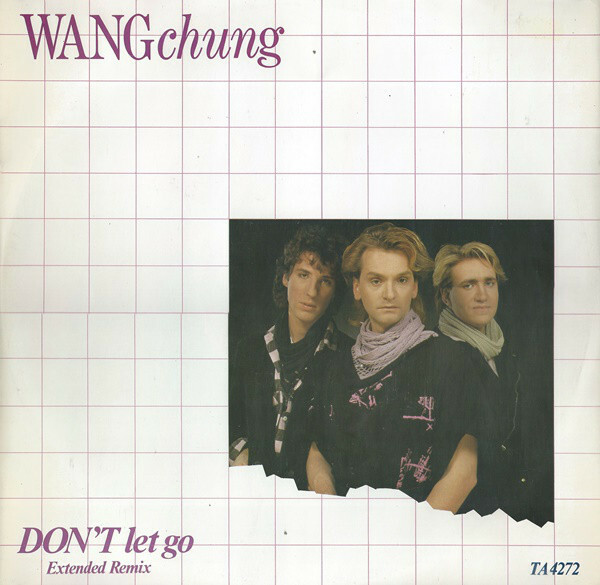 It’s not as steeped in tech as Ultravox were at this time, and Wang Chung, preferred a lighter, jazzier touch, but on a song like “Don’t Let Go” it comes pretty close to that mark. Sophisticated, high-tech New Wave rock with a Krautrock foundation. Like Billy Currie in Ultravox, Jack Hues had a University background in music, so he was cut from a similar cloth. The interesting thing about Wang Chung was that they did not have a dedicated keyboard player. For “Points On The Curve,” all three members have keyboard credit. Moreover, Feldman and Hues both play guitar. This maybe makes the band on this album more fluid with producers Chris Hughes and Ross Cullum undoubtedly picked for their sensitive work on Tears For Fears’ debut, “The Hurting.” The production team clicked here as well, resulting in an album that was on the tech side of things for 1984 without being musically stiff. The sophistication that Hues brought to the game meant that the results here were several steps away from garden variety synthpop of the time. Also, dance aesthetics were given equal footing with rock here, with neither genre dominant. The Wang Chung restraint that defined this band all but assured that. The one fiery guitar solo here on “Wait” that might have been this albums Eddie Van Halen moment was mixed and muted so far downwind that you might have missed it had you not been searching for it. 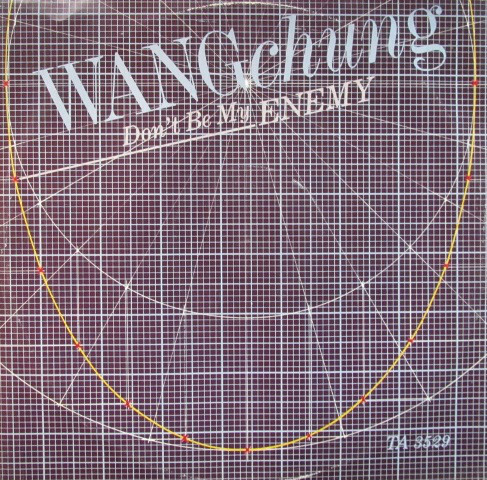 This album represents for me, the one moment in the sun where Wang Chung were standing in their spotlight. The first album was tentative. The next one was too far into the crass pop zone for my tastes. After that I heard nothing until their surprising 2012 return with the “Tazer Up” album, which I’d call my second favorite overall of their output. I have never heard the “Warmer Side Of Cool” album., but this album is the one with a comfortable berth in my Record Cell. It’s my favorite example of what Wang Chung had to offer these ears: dryly reserved techno rock sophistication with a chaser of dance funk DNA. This entry was posted in Record Review and tagged 1984, Wang Chung. Bookmark the permalink. “The Warmer Side Of Cool” is very much an adult rock record. Not as overly commercial as “Mosaic”, but sits comfortably for me as the final chapter in their story. Certainly out of step with the popular trends of that time so difficult for Geffen to market. Yes, that was not worded quite right. It was what seemed the final chapter for over twenty years. “Tazer Up” was well worth the wait.